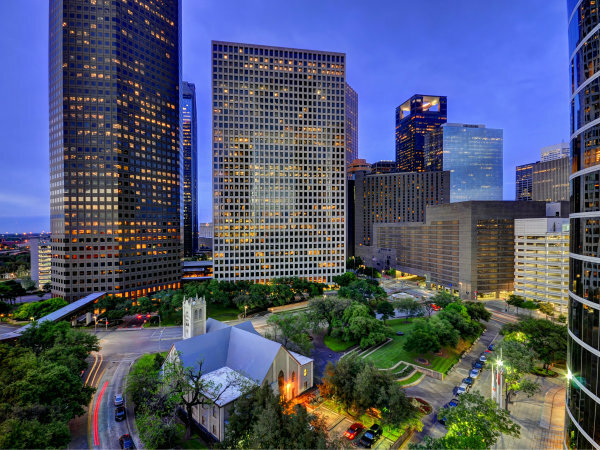 Houston’s east downtown area is fast becoming a destination for those who appreciate the perks of living close to the heart of the city and all that it offers. The new Promenade Place warehouse style lofts in east downtown, or EaDo, give residents the opportunity to live in a beautifully restored historic building made complete with modern luxury amenities. Nightlife, easy access to freeways and a blossoming community make EaDo a destination for living well. Rather than tear down the existing warehouse to make space for a new development, Promenade Place LLC developed and converted the property. Rather than tear down the existing warehouse to make space for a new development, Promenade Place LLC developed and converted the property to condominiums, paying homage to Houston’s past when redeveloping the 1920s warehouse that is now home to Promenade Place. The four-story building still recalls the warehouse feel with ruddy brick walls and large windows that add a nostalgic feel to the exterior. The decision was made to maintain the loft-like space, so instead of chopping up the building to create many living spaces, the design team kept the building to just 29 homes. 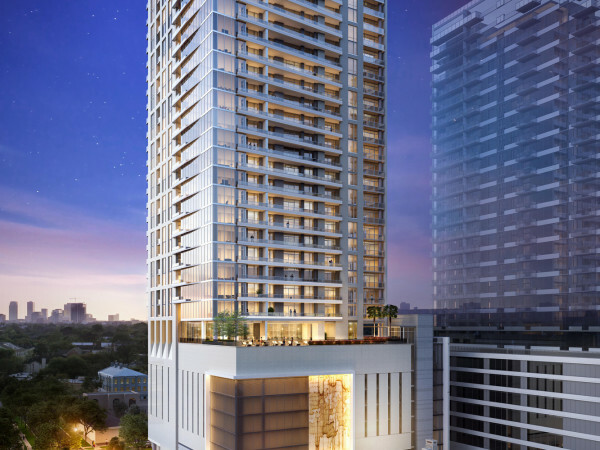 That decision translates to open floor plans, soaring ceilings and multi-story units giving homeowners spacious balconies and sweeping views of downtown Houston. The interior seamlessly blends old and new. Units include exposed brick that is original to the building, and the concrete floors that were saved and stained to beautiful warm hues. Open floor plans allow for natural light to brighten each home, and the kitchens are state-of-the-art, complete with as stainless steel appliances and granite countertops. Cultivating a sense of community is central to the design and purpose of Promenade Place, so the development features a landscaped courtyard, BBQ grilling area, a club room, a media room with a pool table, a fitness center and a swimming pool. The pool is another amenity designed with the building’s history in mind and complements the building’s exterior. Aged brick and coping matches Promenade Place’s exterior, while Italian mosaic tiles dot the pool and the waterfall. White plaster enhances the clarity of water and gives the pool a modern touch. It’s said that location is everything and Promenade Place certainly doesn’t disappoint. The downtown lofts are an easy drive to U.S. 59 and the development is located near a multi-block green space project called the International Promenade. EaDo is a hub for nightlife, entertainment, restaurants and sporting events. The Houston Dynamo soccer stadium is within walking distance from Promenade Place and Minute Maid Park, home to the Houston Astros is just on the other side of the freeway and is also walkable. St. Emanuel Street is a bustling section of EaDo offering Houstonians everything from art to bars. Lucky’s Pub and Tout Suite Cafe are just two of the spots locals love and more retail and entertainment options are on track to open within the next year. Promenade Place offers two bedroom units ranging in size between 1,284 and 1,881 square feet, priced from $295,670 to $411,000. For a select time, special financing by Patriot Bank will be available to buyers. 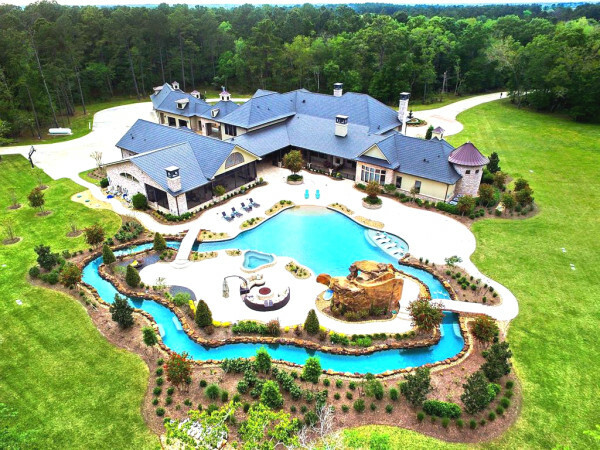 For more information, call Luke Fertitta at 713-974-4292. To experience the historic nuances of Promenade Place for yourself, plan now to visit April 11 to 12 from noon to 4 p.m. for an open house event.